27 June 2014 / Vulcan Tire Blog – You can now purchase any of the thousands of items on Vulcantire.com using Bitcoins! 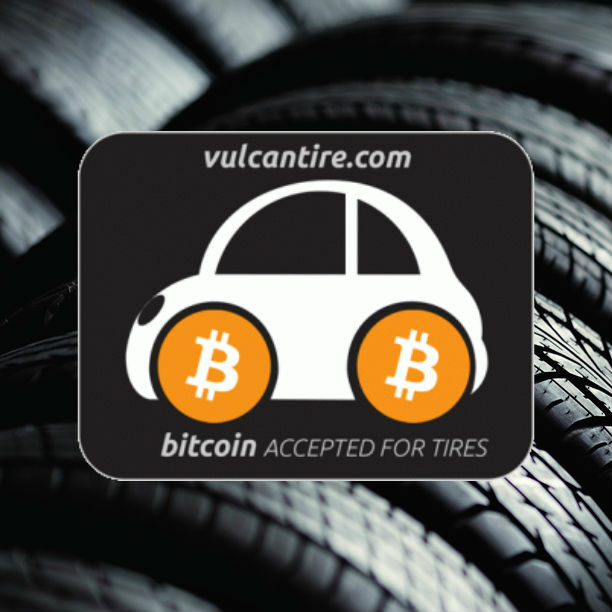 Vulcan Tire is the first tire retailer in the world to accept Bitcoin. Bitcoin is a digital currency that allows you to quickly and securely send payments online. Convert your Bitcoins into tires now at vulcantire.com!